Window Fashions by Lafayette offer a variety of designs and benefits to enhance any interior space. While most people are first attracted by a striking look or unique operation, modern window treatments provide a full array of options and can be customized to enrich any lifestyle, room, or style choice. Choosing the product and options that best fit your needs begins with a basic understanding of window treatment characteristics and benefits. Click on any topic for more information. 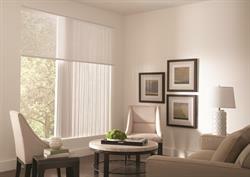 Each room in a home has a primary activity, and modern window fashions can be customized to enhance those activities. For example, in bedrooms privacy is usually the first concern and the ability to shut out light often follows closely behind. In many family rooms, the ability to enjoy a beautiful view is important. While in a home office, softened usable light is needed. In some climates, rooms with a northern exposure require maximum window insulation. While in other parts of the country, minimizing UV rays becomes critical. Fortunately, window treatments can be selected to fulfill all of these requirements and more. But the first step in choosing the perfect product is to determine how the space will be used and what environmental factors affect that activity. Various window treatments control light and privacy in different ways. Some products such as horizontal blinds, vertical blinds and shutters block all or part of the light through the use of moveable slats or louvers. The slats or louvers can be rotated from a completely closed position for maximum light blockage and privacy to an open position that provides maximum view-through and light entry. These products shape and redirect the light. Other window treatments such as roller shades, Roman shades, cellular shades and moveable panels rely on fabrics or woven materials to filter light and view through. These products allow the face fabric to be completely or partially raised or moved from the window to allow full view through. But when lowered, the fabrics provide varying degrees of view through and privacy while filtering and enhancing the light entering the room. Beautiful fabrics are available in a complete assortment of opacities – from sheer to fully opaque. Some treatments, such as transitional shades, combine elements of light filtering and mechanical light control in a single product. In other cases, several treatments may be layered in a single window opening, for example and traversing drapery over a cellular shade, to provide increased beauty and maximum control of light and privacy. In many homes, a striking view or dramatic architectural feature is the focus of the room. Lafayette has the window treatment to enhance that feature. We can cover any shape, including angles, arches or even circles. Top-down/bottom-up treatments let in glorious daylight while maintaining privacy. We can cover very wide or very long openings. Many treatments can be motorized. So that very high window shade can be easily closed to block the afternoon sun. We can cover skylights, sidelights and French Doors. No matter what the opening, we can treat it – functionally and beautifully. It’s your first priority. But child and pet safety is often the last thing you think about when choosing window treatments. Corded window coverings do present a potential strangulation hazard for young children and pets. In response to this threat, the window covering industry has tightened its safety standards and created warning tags and labels to alert parents to this hazard. Many of our window fashions do not have exposed cords and offer no hazard. Motorized products offer the ultimate combination of ease and safety. For corded shades, we have developed new child safer enhancements such as the Lafayette TLC Cord Sleeve. The rear traveling lift cords are enclosed inside a protective sleeve and the sleeve is then anchored along the back of the shade eliminating the possibility of dangerous cord loops. 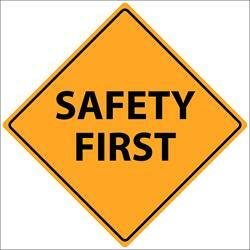 We are committed to providing the safest products possible for your home. At times we love the view-through and daylight shining though an uncovered window, but up to 50% of a home’s heating and cooling energy can be lost through its windows. Custom window fashions can provide energy efficiency, helping to minimize heat loss in winter and heat gain in the summer. The fabrics and materials used in the treatment offer a variety of insulating properties. Used properly, these materials not only block energy from passing through the window, they also work to make a person feel more comfortable in their space. Window fashions can also reduce the amount of energy used in electrical lights. Certain treatments direct and disperse daylight throughout the room while softening the glare that can occur with direct sunlight. The wide variety of window fashions available requires many different operating systems to meet every need. Lafayette offers appropriate systems for each treatment, concentrating on ease of operation, precise positioning, safety and durability. We offer a number of different manual control systems with optional positioning to meet any setting and any budget. Many of our treatments can be motorized. We offer battery-powered or wired motors that can be precisely controlled by remote or wall switch. For the ultimate in ease and safety, motorized treatments from Lafayette fill the bill. 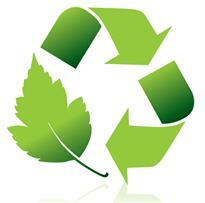 Maintaining a safe and sustainable environment is a primary consideration for all of us. Lafayette is committed to offering products that are manufactured in a sustainable way, contribute to a clean environment and provide energy and resource conservation. 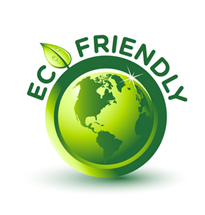 Many materials and products we offer have been tested and are certified for energy efficiency, air quality safety and use of recycled materials.